among its members and to the general public. Join us in our next meeting - see below for information! 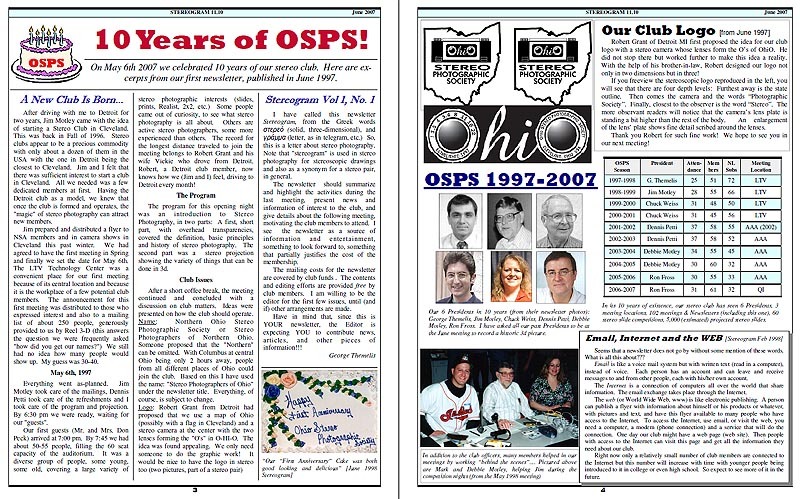 7 Presidents in 20 years of OSPS: (From Left to Right): Ron Fross, John Bueche, George Themelis, Jay Horowitz, Dennis Petti. Meetings are held every first Tuesday of the month, September-June, starting at 7:00 pm. 10-20 members and guests attend our meetings. Visitors are always welcome! 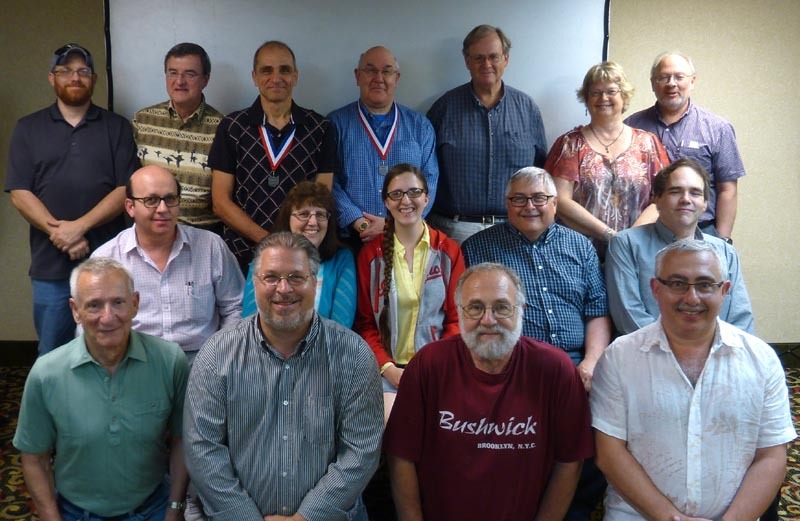 Directions For Meetings: Meetings are held the first Tuesday of the month (Sept-June) at 7:00 pm at the Days Inn (previously Quality Inn & Suites), 4742 Brecksville Rd (Rt 21) Richfield OH 44286, (330) 659-6151, close to the intersection of 77 and the Ohio Turnpike (80). Meetings start at 7:00 pm sharp! 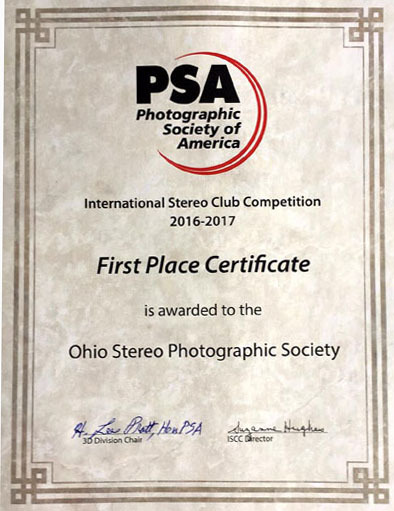 Stereo Competitions: The Rules for Stereo Competitions can be downloaded from our web site (direct link: http://www.ohio3d.com/RulesForStereoCompetitions.pdf). Here is a brief summary: Each member can enter up to 3 digital stereo images with the assigned theme.. Awards are given to 20-40% of the entries. Members accumulate points throughout the year. 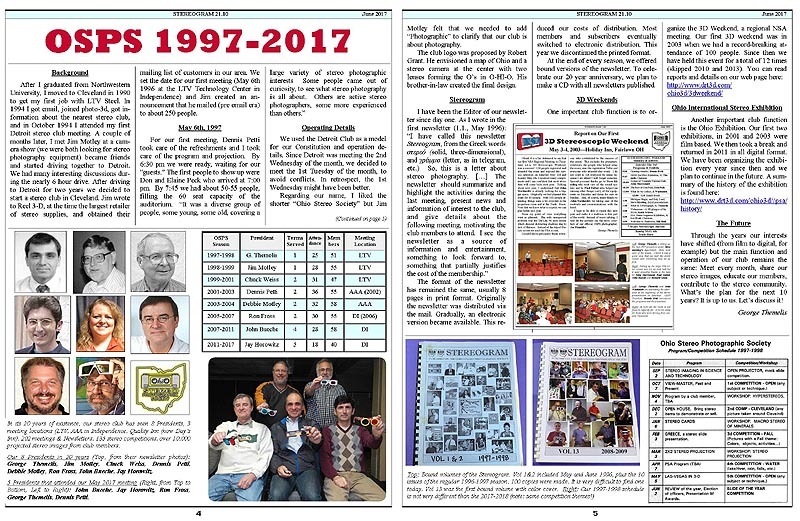 Results are published in the newsletter. Member's Presentations/Open Projector: Members are encouraged to present short programs with a theme, or just bring a few slides or digital images to project. Stereo prints and stereo-related items for a short “show & tell” during the break are welcome at all meetings and can be placed at the available tables. Items for sale are also allowed in every meeting.